Divi provides a tremendous amount of capabilities out of the box, but often we need to find ways to extend or improve upon what is provided by default. In this particular case a client asked to add Yelp along side the other social media share icons showing in their secondary header and footer. By default, Divi offers Facebook, Twitter, Google plus and RSS, which can be toggled on and off in the theme Options. 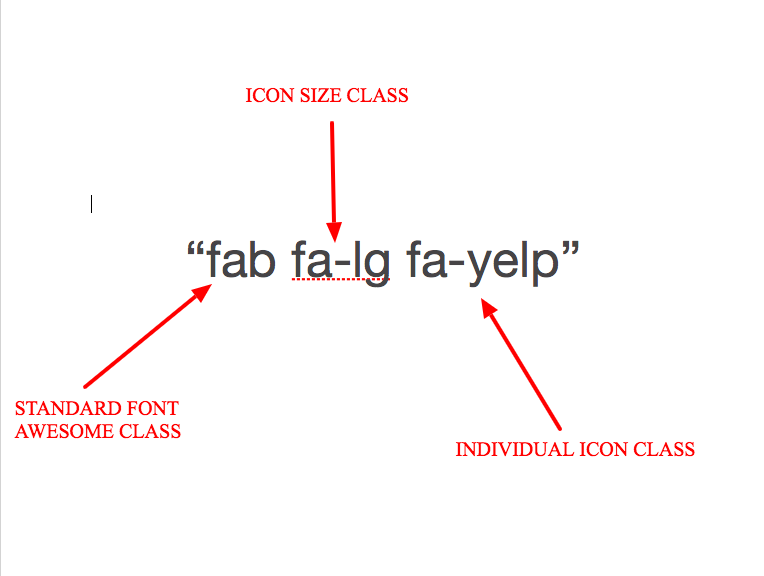 Since Yelp isn’t available in the Theme Options and isn’t part of the standard Divi icon font list I had to seek out an alternative method which opened up a huge range of options… enter Font Awesome. 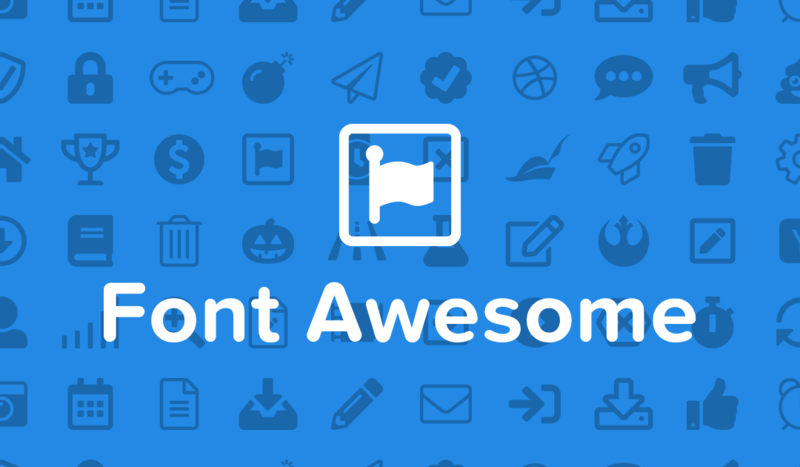 For those of you who aren’t familiar with Font Awesome, it is a resource library of hundreds (almost a thousand) of free vector icons and logos that can be easily enqueued for use in websites. These icons can then be placed in web pages, posts, inside navigation menus and in this particular case along side the default Divi social media icons in the header and footer. Sounds pretty cool, right? Let’s get started. Now that we have completed these steps (and possibly cleared the browser cache) your new social media icon linked to a URL of your choice should now be active as seen in the image below! You can duplicate the code in social_icons.php to set multiple custom icons of your choice. For those of us who don’t use child themes, a plugin with this functionality would be nice. Ugh! This process is the bane of my existence. I’ve honestly spent hours trying to sort this to no avail. Whatever I do, the site doesn’t seem to recognise what I have going on through the PHP file on the child theme, and I’m so sick and tired of trying. I have no more patience for this. Programming is not my forte, and this method seems well beyond my skillset to troubleshoot. Getting this email today has just aggravated me further that I still can’t manage to sort it. Divi, why am I limited to 4 social media icons? People have been demanding a fix on this for years, seriously, I’ve been Googling to try to sort this since the beginning of the year! Just throwing that out there. Nice guide! Hi Scott, yes but then you are limited to Divi’s library of icons, which doesn’t include yelp for example. Hey Cory, how do I enqueue the Font Awesome 5 in my functions. The way I did it with Version 4 (see code) doesn’t seems to work with Awesome 5. Am I missing something? Great post, but somehow its not working for me either. I followed all your steps and even just copying your code directly with no alteration…nothing. Any guesses? I sent you my credentials. Thanks for any help in advance. great tutorial! Worked like a champ. Thanks! I would like to a new tab be opened when clicking on the social media icon. How can this be done? I’d prefer to put host the social icons that I will add to my footer on my server, not a third-party. 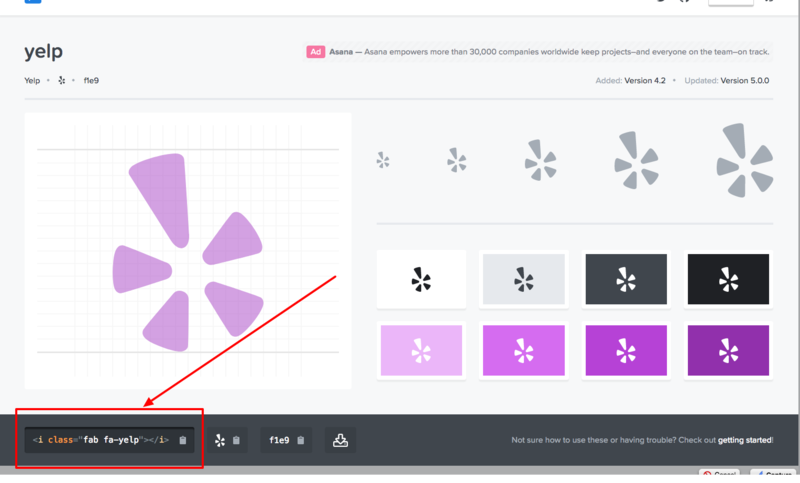 Where are the actual social icon images in Divi stored? Or can I create an icon and just place it on my server and use that path to pull the image? By default they are icon fonts and not images. For the love of God, Elegant Themes. ADD the instagram icon to the DIVI theme!!! Your techs give us a work around to add an Instagram icon, then you update the theme, then something goes wrong. The Instagram icon either doesn’t work or it disappears altogether. This has happened 4 TIMES in 5 months. MILLIONS OF PEOPLE USE INSTAGRAM. You’re charging your customers to use this theme – save EVERYONE time and frustration and just build in the instagram icon!! Sarah, that’s how I feel about Pinterest. I don’t know how to code so I’m stuck without an icon to my biggest traffic driver until I’m ready to pay someone to do it for me. Hi Corey. One of the most infuriating point in web development for me is that I am not good at code scripting csss code or similar as that is really why you are the experts. Surely with such advanced tech skills which you have a simple plug is much easier, avoids having to create a child theme and for beginners is a must. To add even a popular list of social media icons in the divi header and footer area is not asking too much. I followed the tutorial step by step and it did not work. Can you please advise. How to make it work on mobile? This is an awesome tutorial! Although many WordPress users especially bloggers and business owners don’t have the basic web development skills, this might be a very good and easy well-documented tutorial but this is still way to hard to accomplish for most. It would be nice if you can make a plugin for this. I have to say that this tutorial is much cleaner to implement. I saw some other tricks where you have to override the existing codes but this one is the best so far. I have followed this to the ‘t,’ without getting my yelp icon… Ahhhhhhhhh… please help! Thanks for posting this….it worked great. I applied these changes, and now I have mysteriously lost custom fonts and styling on my site. I reversed the changes, and it still looks the same – with lost customizations. Any clues? ?